Location. 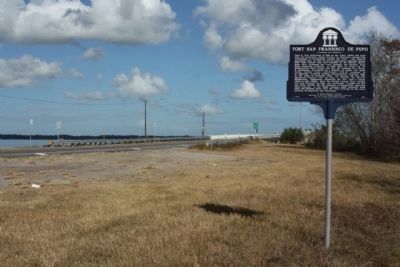 29° 58.696′ N, 81° 37.758′ W. Marker is in Green Cove Springs, Florida, in Clay County. 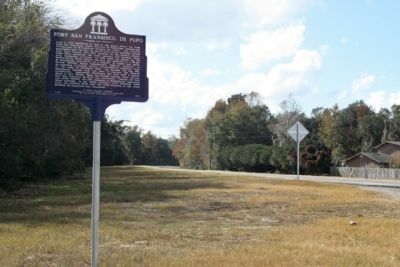 Marker is on Leonard C. Taylor Parkway (State Road 16), on the right when traveling east. Touch for map. Located on southeast bank of St. Johns River. Marker is in this post office area: Green Cove Springs FL 32043, United States of America. Touch for directions. Other nearby markers. At least 8 other markers are within 5 miles of this marker, measured as the crow flies. William Bartram's Plantation (approx. 1½ miles away); Green Cove Springs (approx. 3.1 miles away); The Village Improvement Association Woman's Club (approx. 3.3 miles away); Old Clay County Courthouse (approx. 3½ miles away); Hickory Grove Baptist Church and Cemetery (approx. 4.3 miles away); William Bartram Trail (approx. 4.4 miles away); Picolata (approx. 4.9 miles away); The Bellamy Road (approx. 5 miles away). 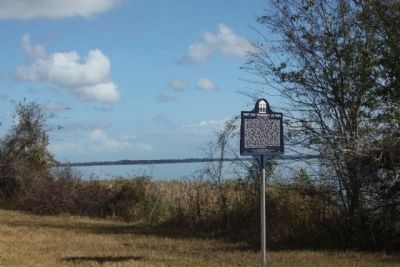 Touch for a list and map of all markers in Green Cove Springs. More. 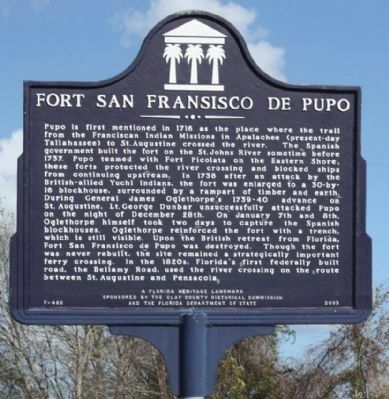 Search the internet for Fort San Fransisco de Pupo. Credits. This page was last revised on July 31, 2017. This page originally submitted on December 28, 2012, by Mike Stroud of Bluffton, South Carolina. This page has been viewed 715 times since then and 11 times this year. Photos: 1, 2, 3, 4. submitted on December 28, 2012, by Mike Stroud of Bluffton, South Carolina.